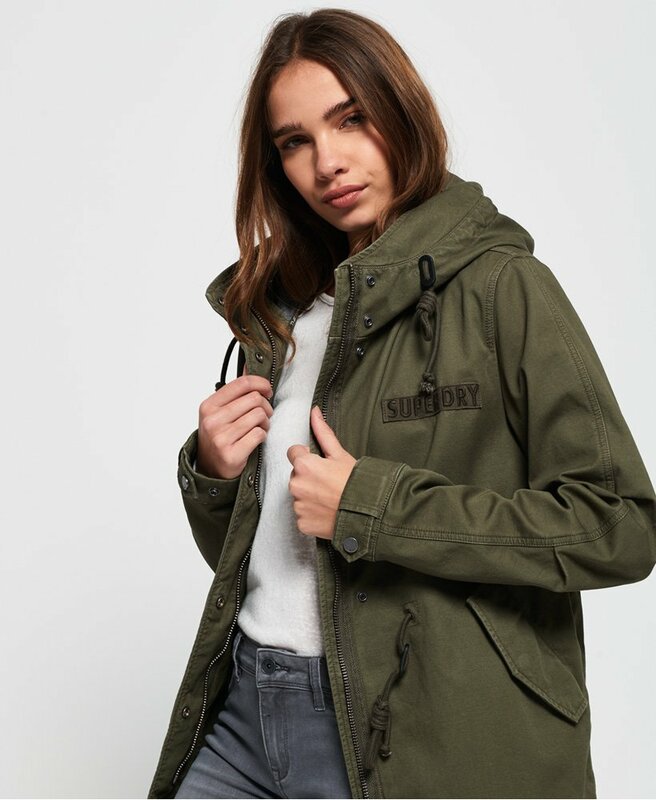 Superdry women’s Rookie bonded parka jacket. Crafted with premium quality fabrics, this parka jacket is in a lightweight design, making it the perfect transitional cover up. This Rookie jacket has a drawstring hood, waist and hem allowing you to shape the jacket to your own individual silhouette, creating a flattering fit on your body. In addition, this jacket has a zip and popper fastening, two external popper pockets and adjustable popper cuffs. For the finishing touches, this jacket has been decorated with a Superdry badge on the chest and a Superdry tab on the pocket. This versatile parka jacket is great to wear for an array of occasions, making this a great investment for your wardrobe this season.